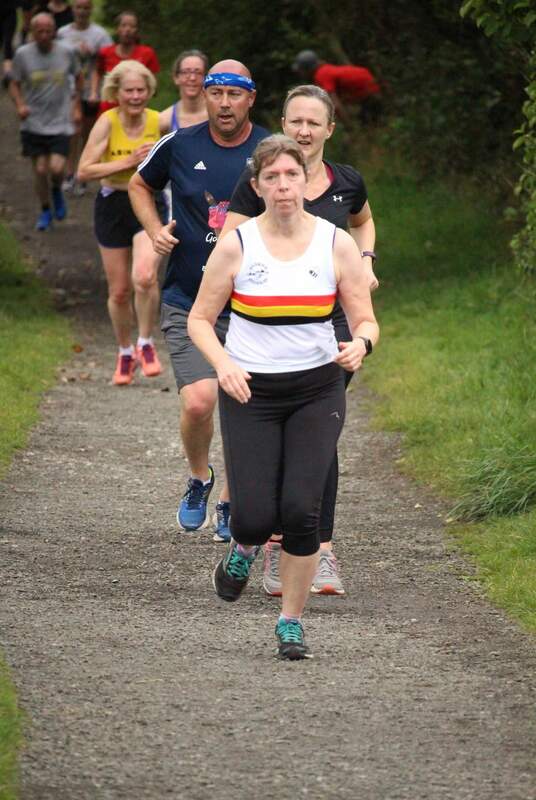 On Saturday 8th September Carole PAGE had an amazing run at the Druridge Bay Parkrun. She not only notched a course pb to finish 2nd female, but also smashed her own female 55-59 course record and her own course WAVA record. Thanks to her 20.07 she has set a WAVA score of 92.46%. An absolutely amazing performance. Getting back to her best is Alice TETLEY-PAUL who was next Harrier home for us in 31st ahead of Steve COWELL and Ian STEPHENSON. 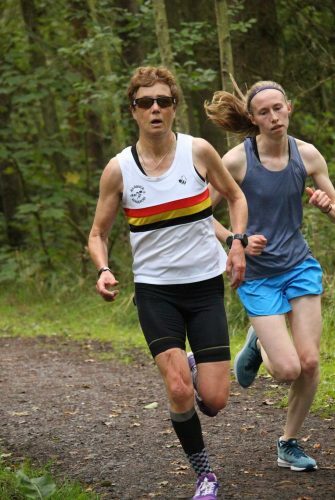 Elsewhere Phil HALL and Justine NORMAN were in action at the Thetford Parkrun. Phil was 5th overall in 19.25 and Justine was 40th in 23.55 to win the female 45 category. Other age category winners were Gay and Richard EASTOE at the Alness Parkrun, north of Inverness (didn’t realise there was anything north of Inverness). They ran together and were 1st in the age 60 categories both crossing the line in 27.59. At Sheffield Hallam Kim BRONZE was 249th in 25.46 and at Whitley Bay Phil LEE was 177th in 27.44. Also that day the Ingram Show held its annual fell race. Famous for its tough climb and fast descent the Ingram Show Hill Race pulls in a modest but quality field of runners each year. Alnwick Harriers had four representatives turn out this year and the conditions were perfect for the hard and fast race. The race start is quick with the runners chasing the best line for the tough climb. Once underway heads are down and everyone is focussed on summiting the hill as fast as humanly possible. Once over the top downhill legs have to be quickly deployed and race pace is quadrupled for the smooth fast sprint for the finish. Alnwick Harrier and local race veteran Ross WILSON was first home to take the winners’ cup followed by a selection of talented runners from other north east clubs. Ollie TELFER was first Junior home in 6th place, just behind 5th placed Dan LENG. Mike TELFER was next home for Alnwick in 8th. A great crowd assembled for the race start then relocated themselves very quickly to the finish line further down the valley to welcome home the runners. An excellent village show race which is superbly organised. Photos are of Carole and Eileen at Druridge Bay.